Within the first 10 seconds of Peppermint, as the camera hovers over a shaking car and eventually cuts to the inside with two people fighting to the death, you can accurately guess that the movie is going to lazily use flashbacks. And then a few minutes later the picture rewinds to 5 years prior. It’s indicative not only of hackneyed screenwriting, but also of a movie that doesn’t quite know how to process extreme loss or grief, resulting in something similar to a story that relies on every trick and cliché in the books. It’s a Frankenstein of a film, stitched together and shocked to life, and the monstrous sum never matches the value of its parts, especially the dedication from its leading lady. What keeps Peppermint from leaving a taste in our mouths is the film’s shallow development of its people. 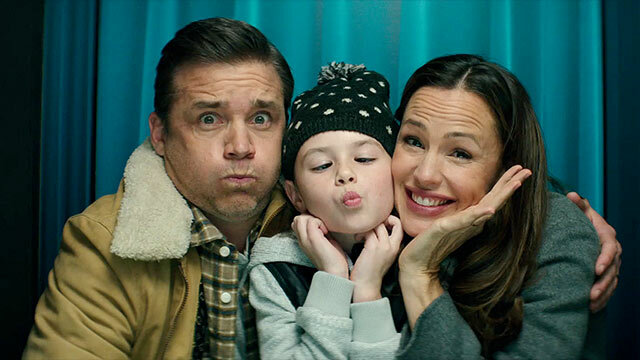 Riley North (Jennifer Garner) asks for more hours at the bank, and that request forces her to miss her daughter Carly’s (Cailey Fleming) birthday party. She walks in late, seeing her hubby Chris (Jeff Hephner) sitting in the family room. It’s near Christmas and a spiteful, mean Girl Scout Mom invited the entire grade over for a Holiday party instead. The North’s go to a carnival, eat pizza and ice cream, and Chris, pressured by the family’s low-income, calls off his potential involvement in robbing the local drug kingpin Diego Garcia (Juan Pablo Raba). Still, he’s gunned down in the parking lot, alongside young Carly. Riley North’s life goes South from the get go. It’s very hard to understand Peppermint or any of its logic. After the bad guys get off easy because of a corrupt criminal justice system – a timely point the film glosses right over – Riley goes off the map. Her grand re-entrance comes when the three gangsters she recognized are found hanging by their feet from a ferris wheel, killed execution style. It’s the 5 year anniversary of her family’s murder and the rogue Riley is back with a vigilante vengeance. Apparently she was off the grid overseas, fighting in cage matches and learning how to use military grade weapons. To make matters worse, there’s a plain procedural aspect behind everything that feels as stale as old coffee, and it belittles the talent of reliable actors like John Ortiz and John Gallagher Jr. into two detectives who are only there to ask questions and push the dubious plot forward as best they can. 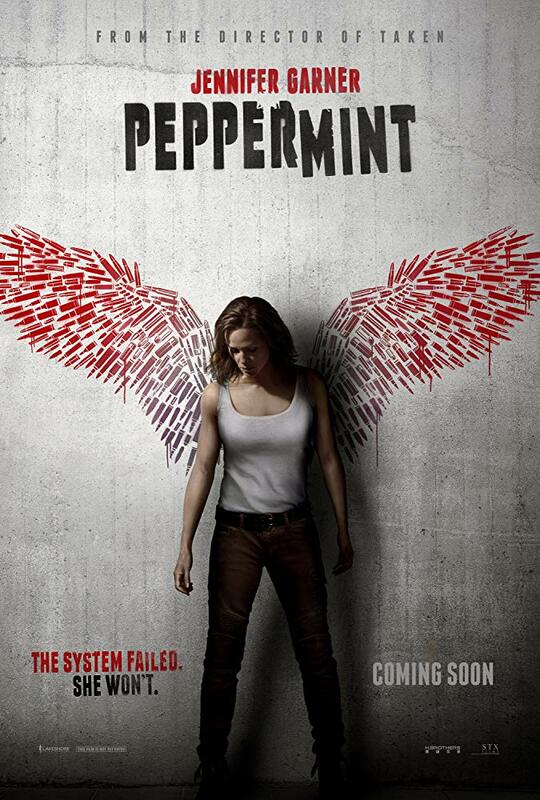 Directed by Pierre Morel, the filmmaker behind the original Taken in 2008, Peppermint comes across as an artist who’s attempting to mine from the most successful movie of his career. It doesn’t help that the picture looks like an amateurish, pale imitation of the visual aesthetic established by the late great Tony Scott through his final films starring Denzel Washington in Man on Fire, Deja Vu, The Taking of Pelham 123, and lastly with Unstoppable. Those movies use jarring cuts and lens flares to expose the soft side of violent, ruthless, inexplicable circumstances. 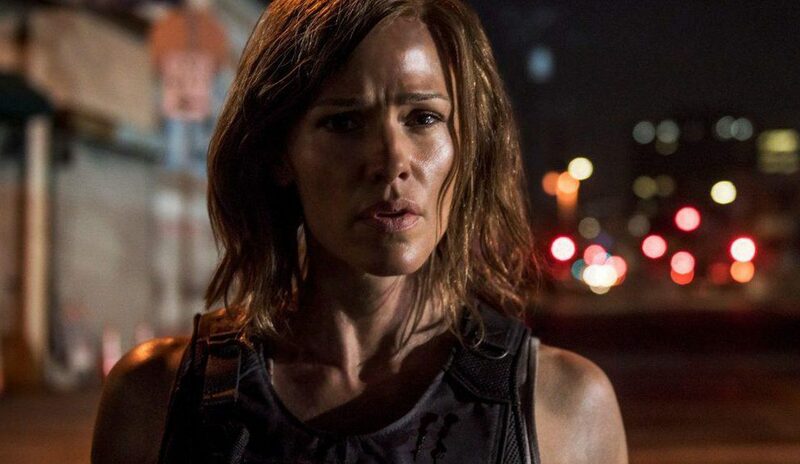 In Peppermint – a film named after a little girl’s favorite flavor of ice cream – the barbarism sets out on a quest for vengeance, and better movies know that it’s more righteous and punishing to inflict psychological pain than it is to seek and destroy. Peppermint seethes with anger and little else, and the heat of its hate makes this a scoop that melts almost immediately.